It was not long ago when Apple Inc. came with Macbook, nearly a year old the apple Macbook has got an upgradation. The upgraded form that can be used in core2duo platform was recently launched by Intel. This is a review of the basic Apple Macbook which has advanced features than the Windows-based laptops. Starting with the designs of Macbook lets start unveiling the key features and let see what’s in store with the latest version of the Macbook. Talking about the design then let me tell you that the sleek design and classic looks will pop out your eye balls. The body of the Macbook is 1.08 inches thin with a meager weight of 5 pounds. These features can in simple terms be called as eye candy. The Macbook comes with a durable polycarbonate shell that will let it safe and keeps it ready for day to day life. The body comes with an exquisite silver matte finish the design is so elegant that sets your pulse racing with these looks. The weight factor is due to the aluminum lining that has been given to the Macbook. Open the Macbook to see the miracle of science, the Macbook comes with only a single external button which is the power button of the Macbook. This might be unique in the segment because most of the laptops come with many buttons while Macbook has only a single function button that too for the power. The 13.3 inch wide LCD screen gives a picture perfect image everytime when you need, every moment in the Macbook looks exquisite and cool. The visibility is ultra sharp and crystal clear. The LCD panel also has a webcam above it which captures clear images through it. The webcam can be called as picture perfect due to the resolution power of 1280 x 800 pixels. The key board design of the Macbook is also unique and adds zeal to its looks; the keyboard also gives a responsive feel while it is being used. This can term as an added bonus to the comfort factor of the Macbook, so this wont be an over statement to say that the key board in Macbook is one of the best that we have used till date. The touchpad also gives right balance of smoothness and texture. 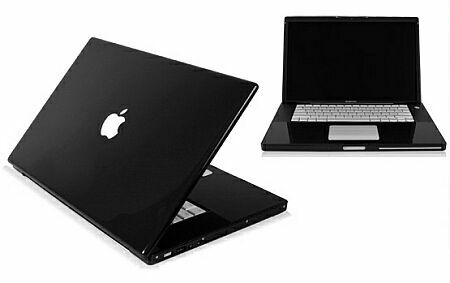 The key features of the Mac include the powerful hard disk and the large space in the Mac. The hard disk space options of Mac is upto 250 GB so don’t worry about the amount you want to store as Mac would do it for you. Inside the Macbook is the latest core2duo processor by Intel, with 3 MB of shared L2 cache the Macbook is sure to be the most powerful among the competitors. 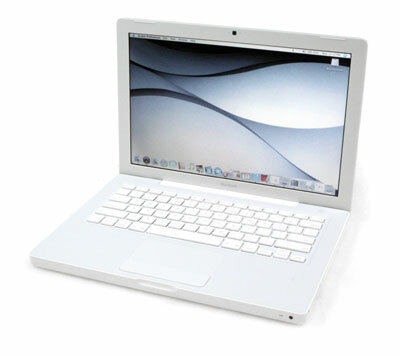 The features are the best part of the Mac; it comes with USB 2.0 port and a FireWire 400 port, a convenient slot for the lock facilities and audio input with headset jack. The CD burning facility of the Mac is also a step ahead with the competitors, the CD burner comes with 24x combo drive or a double layered super drive of 8x, so with Mac burning CDs is never a problem and is fast and convenient. There are no moving parts in the Mac that causes a jam or a break so handling becomes even easier. The track pad becomes fast because of the two finger scroll facility so this also adds to the comfort of the Macbook. The Macbook comes with the options of standard 2.1 GHz and 2.4GHz which ranges in the memory and RAM contexts. The Macbook comes with facility of Bluetooth 2.0 along with enhanced data rate facility. 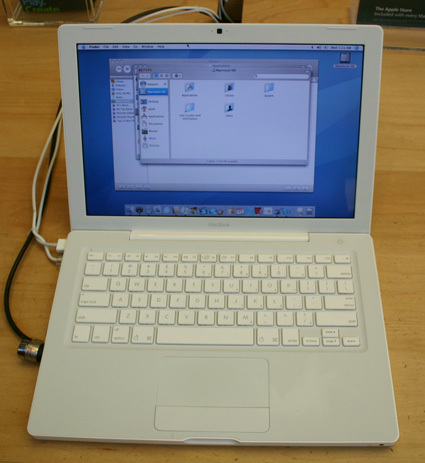 Comparisons are a part of life and Mac would have to face comparison with windows vista or windows XP. Once you begin using the Mac you kind of get addicted to it. Mac offers various customization options and superb features that might leave windows far behind. Mac can be termed as a mystic innovation. The feature like the dashboard application allows the widget use and makes work simpler. Unlike the earlier windows options here the dashboards hide the sidebar and the widgets can be easily hidden or restored with a single button. Net surfing in the Mac is a pleasurable option and lot difference can be noticed due to the fact that the alignment in Mac is quite uniform whereas in windows it is quite dull and uninteresting. Websites give perfect looks in Mac much better than in windows vistas or the windows XP. expected from it. Sites were easily searched on various methods and it became easier for the search engine to perform work. Searching the websites with the WiFi network worked swiftly, Mac is swift in working easy to use so I would prefer working on it than windows XP or vista. It is a far more secure option than windows vista and even lot different with easing conditions to work upon. The price range is quite high and that would be the doubting factor on its success. Get a macbook now if you are deciding to switch from any of your previous laptops. wow thats a excellent review on Apple MacBook, how about adding couple more pics of the Macbook , because that may help the buyers in getting more idea of it. Thats a nice review. Pics are great. But windows is still the best. nice review eith a lot of info. . ..
but i heard that there are many problems with apple mac . . did u face any till now ??? If we get set with mac once, we would never face any problems, and what other kinda problems are you talking about? I like the black color edition. Looks cool. Soon, i will get one for my collection. From where you collect and what is the policy of image used for blogging ? I just got a Mac (like last week haha) so this info on your blog is REALLY useful! When I first opened the box I couldn’t take my eyes off the sleek white design. It’s in a word, Apple’s recreation of “perfection”. I wish they had different sizes for the display though, 13in is a bit small for me, i wouldn’t mind a 15in. After about 10 years on Windows, it actually didn’t take me that long to get used to the dock and the fact that closing a window doesn’t quit the program. Can’t wait to discover all the awesome features as the days go by. bought Macbook in March.. first time using Mac product. love my notebook!! much2 better than my previous Fujitsu… and Mac is better than windows! and one more thing, the brand is a Bling-Bling factor.. went to starbucks for surfing and being different than windows notebook, everyone kinda stare at my macbook..
well i think the apple macbooks look very enteresting in gray or black even there are many of thoughts colors but everyone that has a laptop wants it in white and this are the best laptops in the world that everyone most wish to have even i don’t have one but i want to know where i could buy one during the big sales in the summer. Usually during summer you would get the best deals at Amazon.com, or Bestbuy.com and very few times Apple’s own stores also gives good discounts. And always, they have something good for students. That’s the best pc that i have ever seen, but I think is hard to work with it:(.